How Can The Indy 500 Become Unbelievably Popular Again? The Indy 500 is next weekend. Personally, it's my favorite race of the year and I wouldn't miss it for the world. But since 1996, the popularity trajectory has been the opposite of positive. How can we rectify that? When open wheel racing split into two series, it sent the popularity of open wheel and the Indy 500 into a downward spiral from which is still hasn't recovered. Car counts dwindled, innovation decreased, and in turn, crowds disappeared. That's a shame, because in the early 1990s, everyone knew IndyCar drivers the way NASCAR drivers are known now. Hell, friends of mine knew who Raul Boesel was. Seriously. Since the split, there have been blips of greatness from Indy. Danica Patrick brought back crowds in 2005. JR Hildebrand's crash on the final turn of the final lap in 2011 had everyone on edge. But each time, the publicity did not lead to lasting growth. With the Indy 500 coming up next Sunday, I get nostalgic for the old days. Big crowds, new track records, traditions, pomp, circumstance, and innovation. I think the secret to popularity will be track records and the return of innovation. In the 1960s, Lotus put the engine behind the driver and changed the Speedway forever. In 1994, Penske and Ilmor exploited a loophole in the rules to create an amazing Mercedes-badged engine that dominated the race. And that was it, pretty much the final big innovation that hit IMS as the IRL era and spec racing took over. That's when the crowds left. Game changing technology and new ideas would reinvigorate the Speedway, I think. It just needs someone willing to make that initial investment and then others to follow suit when the new car kills everyone else on track. What say you? 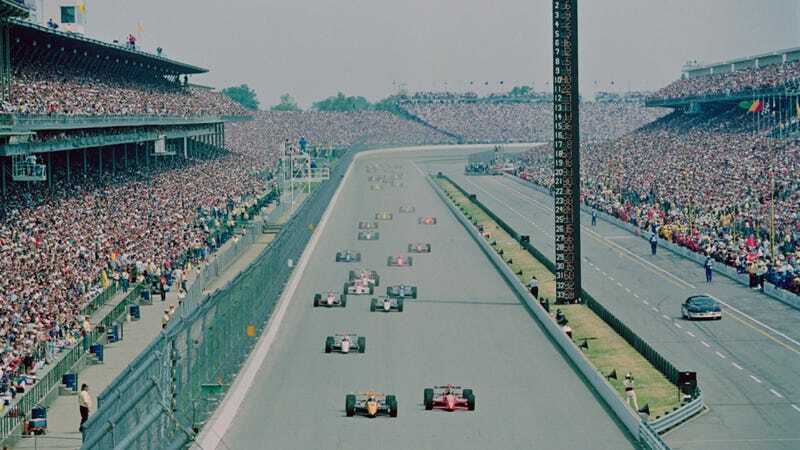 What would you change to make the 500 the most popular race in the world once again? Or is it too late?